The Psoas (Greek for loins) is a long muscle that attaches to both the lumbar spine and pelvis. The primary function of the Psoas is to lift the upper leg towards the body. But did you know that it also helps bend the trunk sideways (lateral flexion) and helps you get up from a lying down position? It is a key muscle used in running and also helps with movements at the hip joint. Tightness in the psoas can lead to pain in the lower back as it can compress the lumbar discs when tight. It can also limit your trunk sideways movements when tight. Irritation of the psoas can lead to groin and thigh pain. 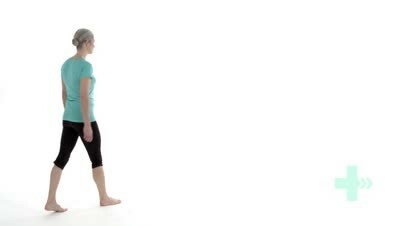 The sequence below shows you how to do this stretch that will let you know if you have a tight psoas but also give your psoas a well-deserved stretch. The Psoas stretch lengthens the muscles at the front of the hip. 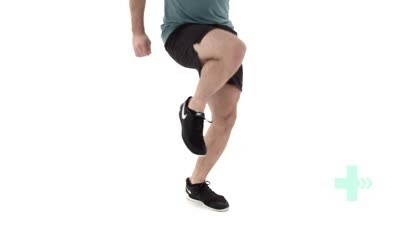 To begin, ensure your rear knee is directly under your hip and your front knee is in line with your front heel. Tuck your bottom under and lean forward. For an extra stretch place your hands behind your head and slightly arch your upper back backwards. Click the type of exercise below. It can also be a great stress reliever and great fun, particularly if running with groups, friends or in ‘fun runs’. Like all sports, you can become injured during running, so here are some helpful tips to keep you injury free and keep you running well. Too fast too soon is a recipe for injury in running. You need to give your muscles, tendons and bones to adapt to the stresses of running. Relative rest is an important part of improving running fitness as it allows your muscles to heal, become stronger and energy systems to regenerate. Allow adequate time frames (blocks) for your body to adapt to your running training schedule eg Week 1-3 weeks build condition for a steady jog, Week 4-6 increase distance, Weeks 6-8 increase speed. Have a relative rest one week or at least a few days before an event. As you build up your running fitness, if you do the same course, distance and/or speed your body will start to plateau. Add in interval training or cross training to your running program to build running fitness. Muscles need to warm up before breaking out into a run. This ensures blood flow to the muscles and temperature is at an optimum before use. Make sure you warm up at least for 5 minutes before a running event. A proper cool down allows your heart rate to return to normal gradually, avoid pooling of blood in your lower limbs and to your body to return to its resting state as efficiently as possible. Don’t stop your run suddenly. 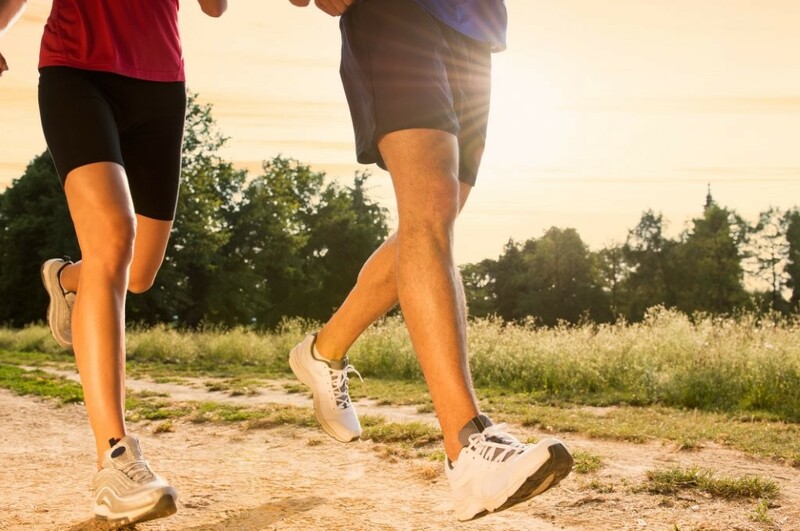 Continue at a walking pace for 2-3 minute after your run. If you need help with developing a running training program tailored to your specific needs, then call us on 9819 6151. We can help keep you running well. Dynamic exercises helps the muscles to stretch through their optimal length and take the joint through a full range of motion prior to doing an activity. For runners we suggest the following sequence of stretching exercises. Below are our recommended cool down exercises for runners . These are ideal for after a run or after an fun run event such as Sydney to Surf. Hold each stretch for 30 seconds and repeat 3 times each side. If you need help with developing a running training program tailored to your specific needs, then call us on 9819 6151. We can help keep you moving well. What can you do to improve flexibility? The good news is you can improve muscle flexibility and joint range of motion through stretching, despite physiological and other factors. But what type of stretching is best? Stretching can be grouped into 3 key types and all of these are important in keeping your muscles and joints at an optimum. Dynamic stretching helps the muscles to stretch through their optimal length and take the joint through a full range of motion prior to doing an activity. 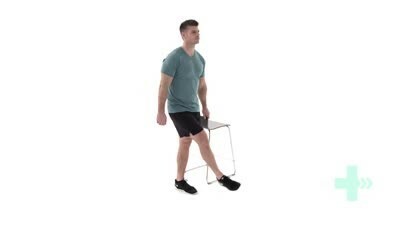 It targets the most intensely used muscles in the activity, increasing their elasticity and as a result reducing injury risk due to muscle sprain/strain. An example would be hamstring swings for runners prior to running. Static stretching – is where a muscle is held in a lengthened position for 20-30 seconds. It is ideal for stretching connective tissue and helps lengthen a muscle. It is best to be used as a cool down after an activity. An example is a hamstring stretch after running. Proprioceptive neuromuscular facilitation (PNF) is a type of stretching that promotes elongation of muscle tissue. It aims to optimise the neuromuscular ‘stretch reflex’ response of the body. This involves stretching a muscle passively to its end of range, then either holding or contracting the muscle for 6 seconds, releasing and then stretching the muscle further to a new range, repeating 3-4 times. Yoga and pilates exercises are a form of PNF stretching. To optimise the flexibility of your muscles and joint ROM, it is important to do all 3 types of stretching. Or, make time for a good PNF stretch program once a week to keep you supple. • Always warm up before stretching. Stretching when your muscles are cold could lead to injuries. • Stretch to the point where you feel some mild tension. You should not feel pain. If you do, stop and release the stretch. Try again in a shorter range, build up to the increased range.